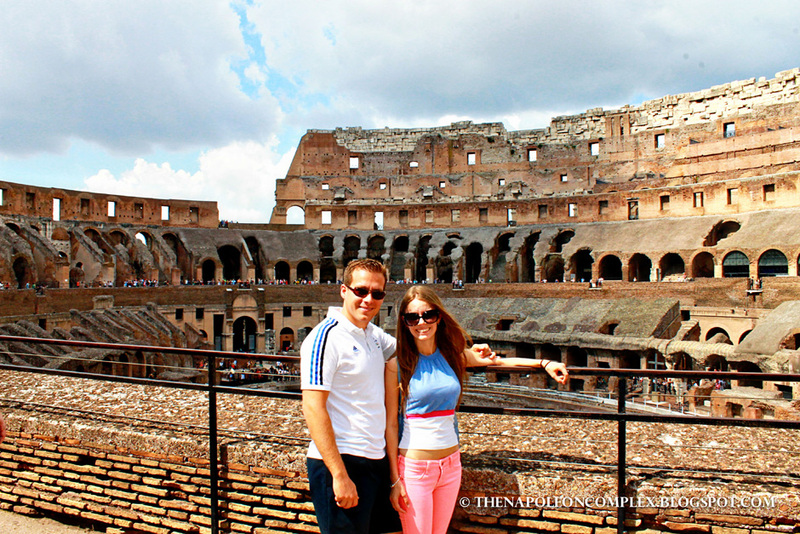 This past weekend was our last free weekend before Jaime had to start working, so we decided to spend some time visiting the Colosseum, one of Rome’s most visited attractions. We expected to be in there no more than about an hour or so, but instead were surprised at the amount of time it takes to see the Colosseum. The line to purchase tickets was not as horrible as I had anticipated and the tickets are valid to visit the Colosseum and the Roman Forum over a consecutive two day period (note that you can only go into each place once, however). I highly recommend if you have enough time to see the Colosseum one day and the Roman Forum the next because we spent about 8 hours total in both places. I also recommend buying tickets for tours in advance, but we’ll get to that in a few. The Colosseum inside is huge and packed with people. Packed! With the regular ticket you get to visit the two middle tiers (I’m pretty sure there’s four tiers in total). 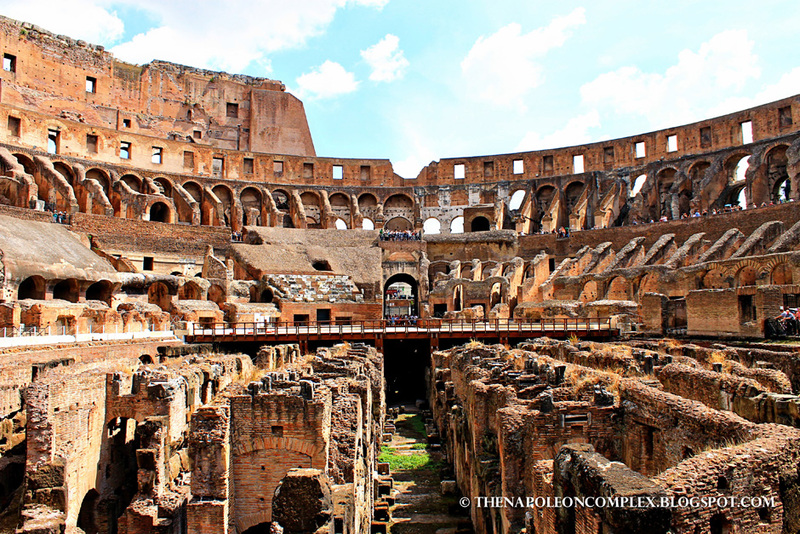 So we did that, took lots of pictures, and saw an exhibit they had on the history of the Colosseum and Ancient Rome. 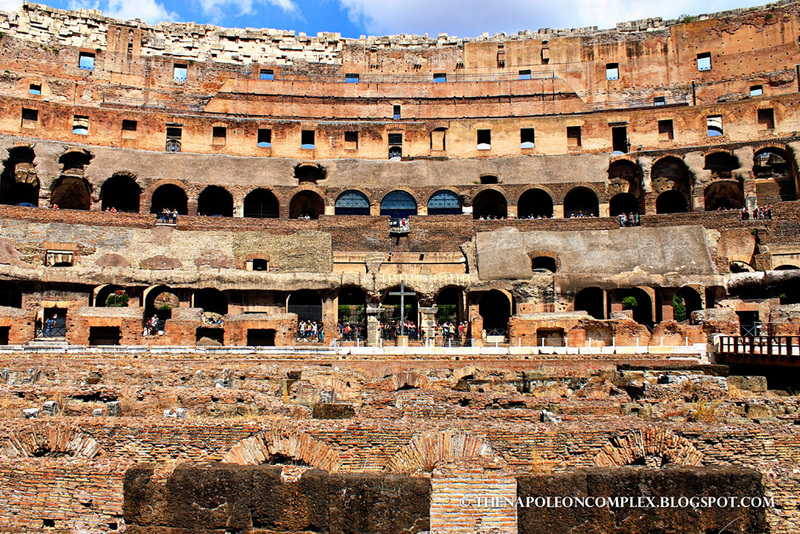 Then we saw people in the top tier and in the bottom tier (which is what used to be the underground section of the Colosseum where the gladiators and the wild beasts were kept). We found out through some signs that you could only see those tiers with a tour guide, so we went back to the ticket office and booked the next available tour. 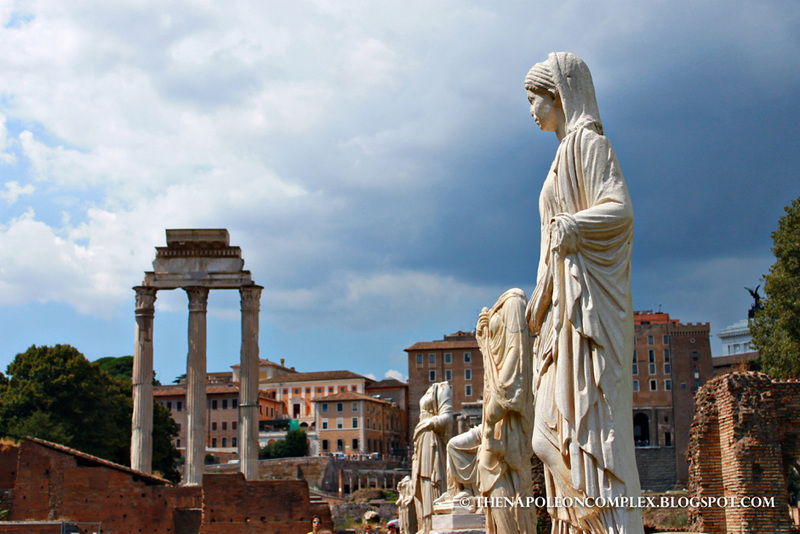 We’ve quickly learned that what you see isn’t always what you get in Rome. 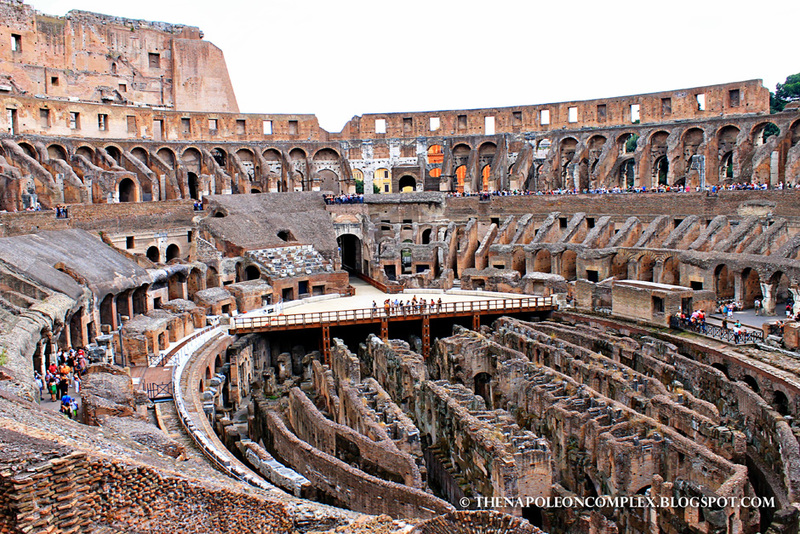 Turns out, the tours the Colosseum gives you does not include those forbidden tiers. You have to book those tours in advance through third-party companies (not that that was specified anywhere before, but whatever). I’m still not sure exactly which tour company offers you guides of those tiers, but if you plan to book with a third-party company, just make sure to ask specifically so you get your money’s worth. The funny thing we got from our tour guide was that they had never rebuilt the missing part of the Colosseum (apparently people ask her this question a lot) because they, the Italians, do not “like fake things and that in order for it to be original, they would have to tear down St. Peter’s Basilica and get back the Colosseum bricks from there” (because St. Peter’s was built with bricks from the Colosseum). I’m not sure what truth there is to that explanation but…hehehe, those Italians are funny. Regardless of the extra 10 Euros we spent on the tour fruitlessly (I say fruitlessly because it really wasn’t a very good tour and it only lasts for like 10 minutes), we still had a good time but obviously we’ll probably have to return at some point to see what we’re missing because Jaime cannot not see the top tiers now that he knows he can. 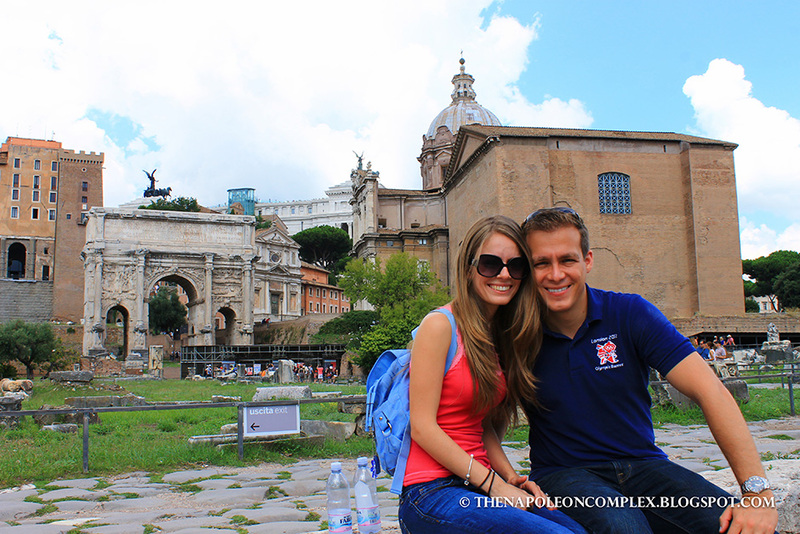 On Sunday, we spent the day at the Roman Forum, which is right next to the Colosseum. 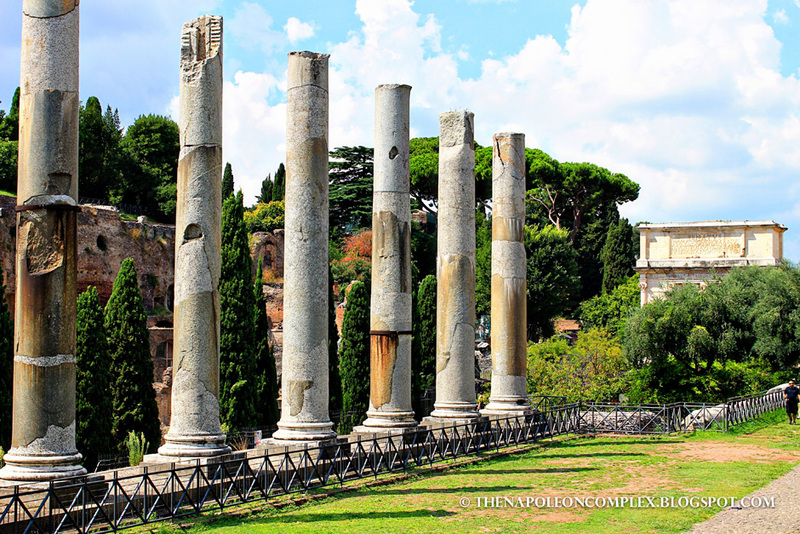 The Forum used to be the center of Rome, where meetings, speeches, and government function took place in Ancient Rome. Now, what remains are the ruins. This place is like a theme park. The surface area is huge, with so much to see that I suggest doing some research about this place before going otherwise you’ll be completely lost looking at these buildings. 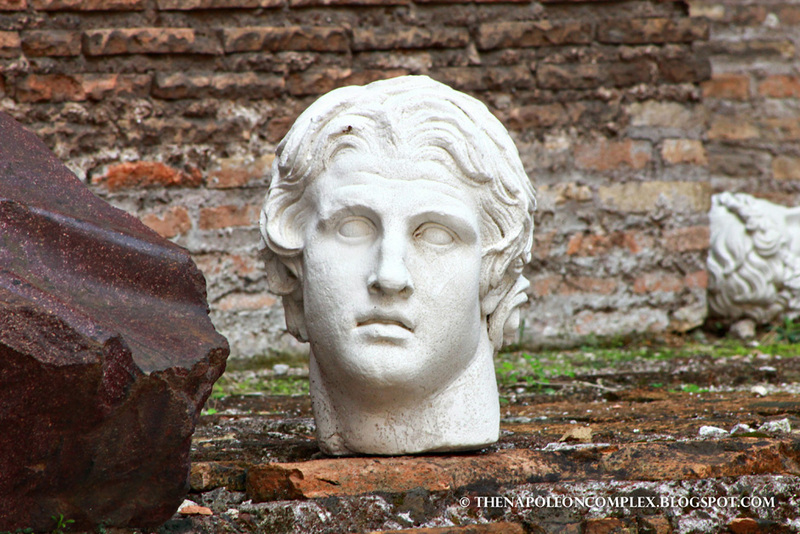 I myself am still a little lost with all the Ancient Roman history. Luckily, I’ve got Jaime who loves this kind of thing. He’s got an obsession with Augustus and has more than once said he would name his son Julius Caesar (not going to happen, by the way, honey :). 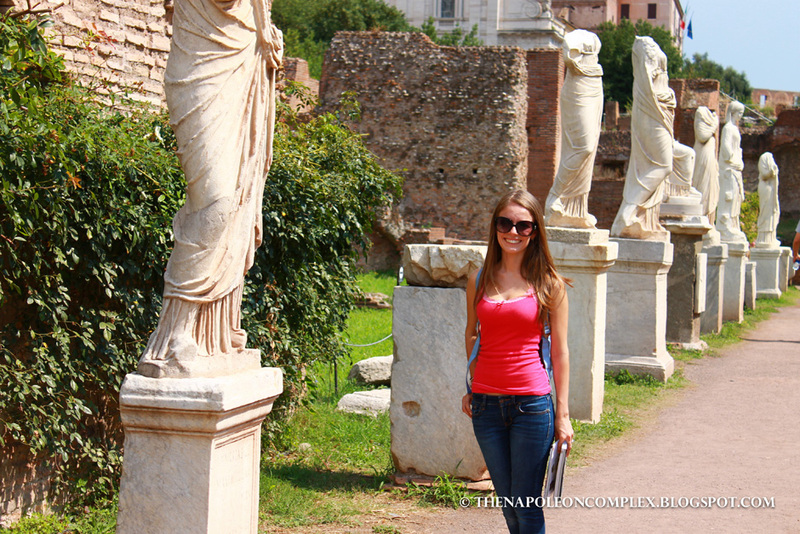 One of my favorite things about the Roman Forum is the unparalleled picture opportunity of the Colosseum. Instead of seeing it from below, as you would in the streets, you can see it at eye level and a much better picture, in my opinion. 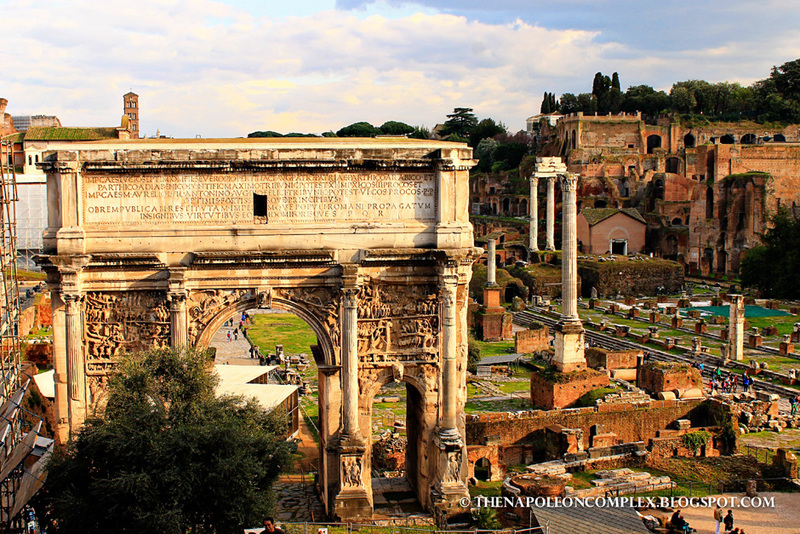 So, if only for that, a visit to the Forum is necessary. 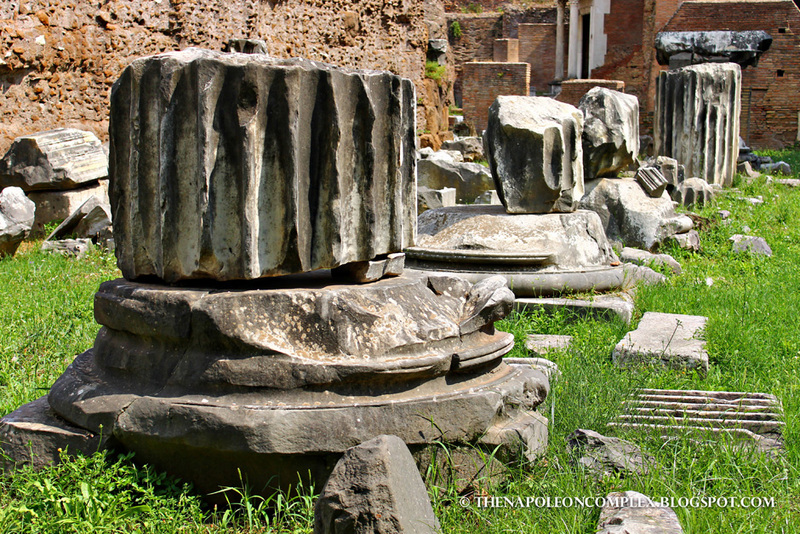 My second favorite thing was the House of the Vestal Virgins, who were priestesses of Vesta, goddess of the hearth. There is still a small garden with the remains of statues of these Vestal Virgins, some of them missing some body parts. It was gorgeous and it reminded me of the Muses in the Disney movie Hercules (I sometimes relate my travels to various Disney movies. What can I say? I’m a kid at heart). 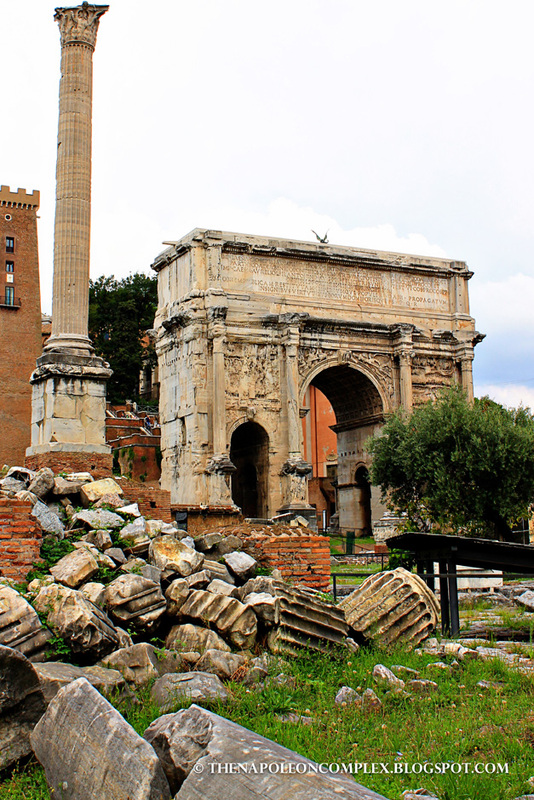 My tip for the Roman Forum: never follow the exit signs. Don’t laugh, I’m serious. For some strange reason, not one exit sign we followed actually led to the exit. Maybe we are just directionally-challenged, but whatever. 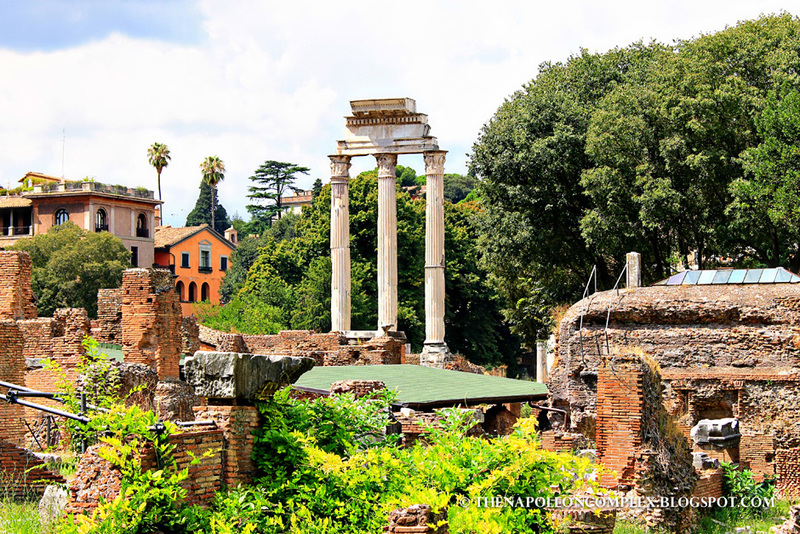 Another tip I have is if you want to get the best picture of the Roman Forum, it’s better to do it from the outside, on Capitoline Hill. That’s where we took the picture below, as well as the very first one on this post with the title. 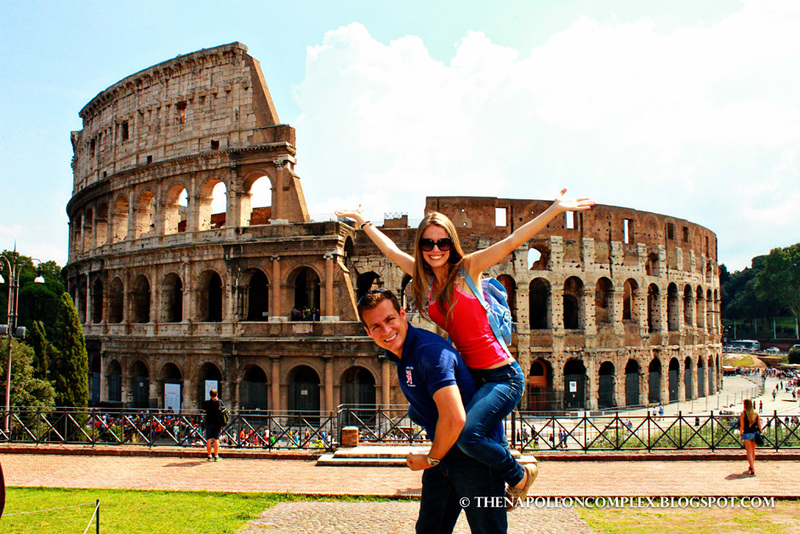 All in all, it was another great weekend in Rome, exploring everything the city has to offer.